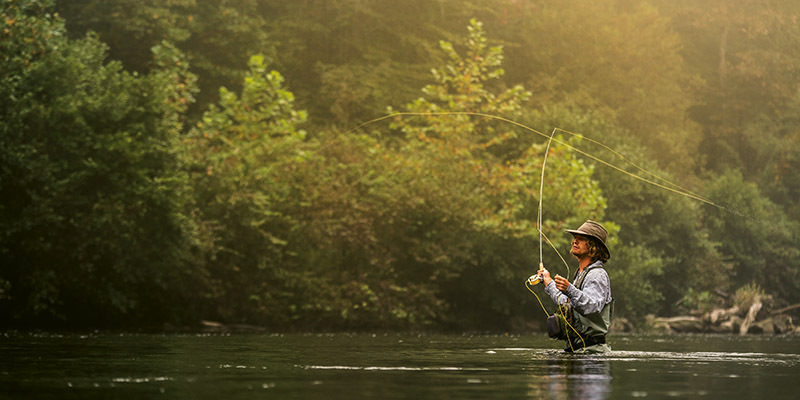 Brett Meany, a guide with Headwaters Outfitters, fishes a stretch of the French Broad River near its origin in Transylvania County. The late Wilma Dykeman is widely credited with restoring faith and hope in the river via her seminal 1955 book. Anglers are drawn to the French Broad’s abundance of fish, including trout, muskie, catfish, suckers, and white, spotted, and smallmouth bass. 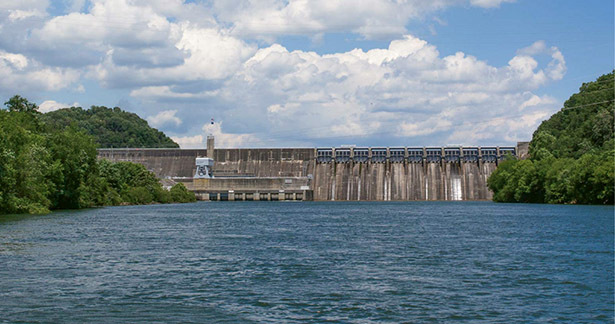 The Tennessee Valley Authority faced opposition to its plans to dam key mountain rivers, including the French Broad, which would have flooded many neighboring lands. That gambit was ultimately scuttled by citizen groups after years of mailing campaigns, protests, and public hearings. The Tennessee Valley Authority faced opposition to its plans to dam key mountain rivers, including the French Broad. Kayakers take in a tranquil stretch of the river in Transylvania County. The Great Flood of 1916 destroyed much of the industrial and transportation infrastructure surrounding the French Broad. RiverLink’s founding director, Karen Cragnolin, helped usher in modern environmental stewardship of the waterway. French Broad Riverkeeper Hartwell Carson spearheads efforts to monitor and protect the river’s water quality. Outfitters like Blue Heron Whitewater in Madison County have become not only local economic drivers but also supporters of crucial nonprofits like RiverLink. The Nantahala Outdoor Center’s French Broad Outpost, based in Marshall, operates some of the most popular rafting runs on the river. The headwaters of the French Broad, an ancient, winding river that flows 117 miles through Western North Carolina, begin where four branches merge into one in Transylvania County. Flowing eastward, the narrow river meanders through scenic valleys and past bucolic farms before its banks swell as it curves north through George Vanderbilt’s vast Biltmore Estate, bisecting Asheville, and eventually west to its junction with the Holston River in the hills of Tennessee. The French Broad, named for a French settlement once located where the waterway drains to the west, is interrupted by the first of several dams along its course at Beaverdam Creek, near the riverside community of Woodfin in Buncombe County. At the turn of the century, the river powered turbines there that generated steam to turn the spindles of a cotton mill. Today, it’s where former Asheville vice mayor and greenway advocate Marc Hunt is sloshing enthusiastically through puddles beneath a drenching rain on an abandoned roadway and seldom used rail line near a creek’s confluence with the river. The muddy path is overgrown, deserted, and mostly forgotten—much like the French Broad River itself was after decades of neglect and misuse. But, no longer, declares Hunt. Where he’s slogging along next to the river—and many other places adjoining the French Broad and its tributaries—there is renewed interest in and financial support for safeguarding and engaging the community with WNC’s most precious water resource. “People want to be on the river,” Hunt says. One day soon, he envisions the old road filled with runners, walkers, cyclists, and commuters enjoying the French Broad, which happens to the third oldest river in North America. Hunt, along with a diverse group of other supporters, is helping plan and finance a project that will one day be part of a 25-mile greenway system stretching from Hominy Creek west of downtown Asheville to Beaverdam Creek. The project, he predicts, will greatly enhance the way people identify with the river. 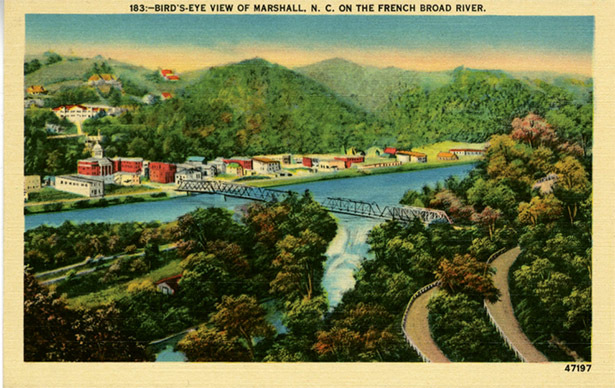 The notion that people wish to recreate and relax along this section of the French Broad is a relatively recent one, and the public’s past ambivalence may explain why there are just four public access points along a six-mile stretch of river from Asheville to the dam. But today, interest in protecting the river is fierce, not just here in Woodfin, but throughout the French Broad’s watershed, where leaders, activists, and dreamers from the past and present are leading the way for the revival of a once-shunned waterway. Further up Beaverdam Creek is the childhood home of Wilma Dykeman, historian and author of The French Broad. Published in 1955, her book was an ode to the river, but also a daringly honest profile of its fragile condition that became a catalyst for its rebound. As a boy, he recalls trips down the river in an old aluminum canoe fishing for muskie and trout. “We would fish and swim for half a day and hear a horn beep or someone holler and say it was time to get out; I learned to canoe and really appreciate the river,” says Whitmire. The attention to both have come in handy throughout his career. In 1992, he and his wife, Debi, opened their business in downtown Rosman before later moving to mile zero of the French Broad on a spit of land where the North Fork and West Fork merge. As young newlyweds in the 1980s, the couple pursued their canoeing passion by paddling a variety of beautiful rivers throughout the US, and then it dawned on Whitmire just how fine a waterway they had in their own backyard. “That’s when I was aware that we had such a beautiful resource and the total negative of the trash,” he says. Ever since, the Whitmires have spearheaded an effort to remove hundreds of tires, tons of plastic, and any bit of flotsam they could get their hands on. Not just that, they’ve championed a thriving tourist industry that has brought thousands of people to paddle and fly fish on the river. Among those that Whitmire gives a nod is a group of defiant mountain residents who overcame a Goliath to keep the upper part of the river free flowing. In 1961, the Tennessee Valley Authority proposed building 14 dams in the upper French Broad watershed that would have flooded more than 18,000 acres of mostly private land. Many of the dams would have been in Transylvania and Henderson counties, but they would have also flooded valleys in Madison, Haywood, and Buncombe, including the Warren Wilson College farm. Acceptance of the more than $100 million project was near universal among civic organizations and local government leaders. But at the grassroots level, resistance sprang up. Jere Brittain, whose family farmland in the Upper Mills River community in Henderson County would have been lost, led a group of noisy “dam fighters” who organized as the Upper French Broad Defense Association, waging a multiyear campaign against the massive project. Drained, but victorious: The TVA grew weary and abandoned the plan. Several years later, the activist group disbanded and handed what funds remained to French Broad River Week, an annual festival in Asheville to promote the river. Jean Webb, a member of the festival’s task force, would eventually help form RiverLink, a nonprofit that’s been on the front lines of the river’s defense for more than 30 years. Until the last 15 or so years, the warehouses, factories, and other buildings of Asheville’s riverside were abandoned, with crumbling facades covered in graffiti. Disconnected from downtown, the river was merely an obstacle separating one side of town from the other. The problems were decades in the making: After a devastating flood in 1916, what little development there was along the French Broad came to a halt, and the river became a dumping ground. By the 1960s, the river oozed everything but charm. It not only looked bad, it stank, and was often referred to as an “open sewer,” according to a history of the river in Asheville’s 1989 Riverfront Plan. These days, the Asheville riverbank’s depressed past is history. Many of the derelict structures have been razed or remodeled, with new businesses and buildings erected, such as the sprawling New Belgium Brewery. The current boom on the river started in the late 1980s, when advocates began to slowly jolt the French Broad riverfront back to life. Today, it’s hard to keep track of the new restaurants, housing, and creative projects that are flooding the River Arts District just west of downtown. The current growth is led by a combination of public and private enterprise, individuals, artists, and dreamers; however, the spark that ignited the current revival can be traced back to RiverLink, which tackled the seemingly impossible task of revitalizing the shoreline. In an effort to beautify downtown as well as the riverfront in the ’80s, community activists led by Webb and Susan Roderick formed the French Broad Riverfront Planning Committee, which morphed into RiverLink. The group’s first executive director was New England native Karen Cragnolin, who had witnessed the revitalization of Boston’s waterfront. Yet, just next door to Cowles’ climbing operation is a subdivision of new houses perched precariously on a steep hillside that, until recently, was home to only a wild tangle of kudzu vines and ailing trees. While the row of orderly homes is an improvement, it’s hard not to worry that new development may go too far, bringing new waves of sediment and harming the very resource people have worked so hard to protect and improve. While Carson considers the French Broad’s renewal a success story, he shares Artz’s concern and concedes that more development and use of the river will have an impact. “Ten years ago, no one was on the French Broad in Asheville,” he says. Presently, on summer days, the river is often overflowing with tubers, paddlers, and anglers. Of course, that puts pressure on access and take-out points, and in some places, it has altered the river experience. Nevertheless, while solitude on select parts of the river can be elusive, Carson says there are still plenty of remote stretches. In 1942, the Tennessee Valley Authority erected a 200-foot-high dam on the French Broad River, forming Lake Douglas in the foothills of the Great Smoky Mountains in East Tennessee. Its reservoir, near the river’s terminus, extends 43 miles, part of the French Broad’s placid final stretch. The dam’s power plant provided electricity for the production of aluminum for airplanes in World War II. Said President Franklin D. Roosevelt: “Let our enemies take note, Douglas Dam shows what a democracy can do.” Today, the lake is also a popular recreation spot. Among them are portions in Madison County. Roughly 10 miles downstream from the county seat of Marshall, the placid current that characterizes much of the North Carolina section of the river winds into a deep gorge buffered by Pisgah National Forest, forming the moderately difficult “Section 9,” a popular white-water destination. From its boat launch at the small hamlet of Barnard to its take-out in Hot Springs, the river sluices through a number of rapids and ledges, including the most challenging on the river, Frank Bell’s Rapid. The name hales from 1923, when Bell, a white-water pioneer, was leading a month-long summer camp trip on the French Broad from Hendersonville to the Tennessee River and the confluence of the Mississippi. 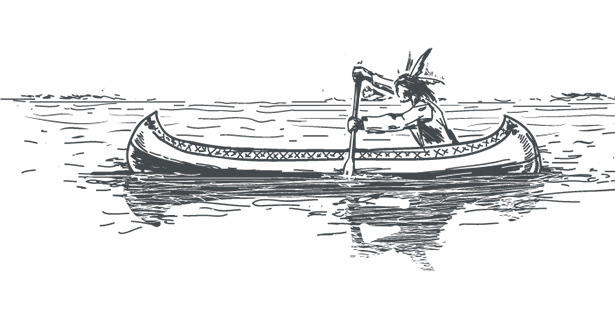 One day, his wood canoe became trapped in a deep, recirculating hole at the base of the rapid. “When the boat came out sometime later, all the seats and thwarts had blown out,” wrote his grandson Will Leverette, in a history of white-water paddling in Western North Carolina. The Chief, as he was known, was recirculated in the lethal hydraulic. Sucked in so deep and so long, Bell survived and came to believe that “when you get plunged in a hole, the way out is to go down as deep as possible to allow the current” to eventually spit you out. A long plunge and a struggle for air is, perhaps, an apt analogy for the recent history on the French Broad. After a century of neglect, the mighty river, once so strangled for oxygen that even fish gasped for air, is experiencing a second coming. In its nineteenth-century heyday, the river corridor was a route for drovers who ran herds of swine along the Buncombe Turnpike. Now, 150 years later, the livestock highway has vanished and its former route along the French Broad is transforming into a thoroughfare for commuters, pedestrians, and river lovers—a network of pathways that include the vision Hunt is advocating for in Woodfin. “The environment will benefit because it will connect people to the river and to a natural setting,” Hunt says. “It will challenge the citizens of our communities to become better stewards of our natural resources.” After abandoning the French Broad for decades, its people have chosen, once again, to embrace the river.